I’m sharing my personal migraine story in partnership with Promius Pharma as a paid spokesperson. The story, thoughts, and opinions below are expressly my own. Promius Pharma is not responsible for any other content on this site. Do you want to help your family better understand how migraine attacks disrupt the quality of your life? Unfortunately, it’s difficult to truly understand the influence of migraine attacks on a day-to-day basis, unless you’ve been through them. Migraine attacks come in many different shapes and sizes, and each one is not just a headache―nowhere NEAR IT. I’ve written about great educational resources like NoTime4Migraines.com, and I’m excited to share another way to reframe the migraine conversation with your family. This week, my family and I tried something new. 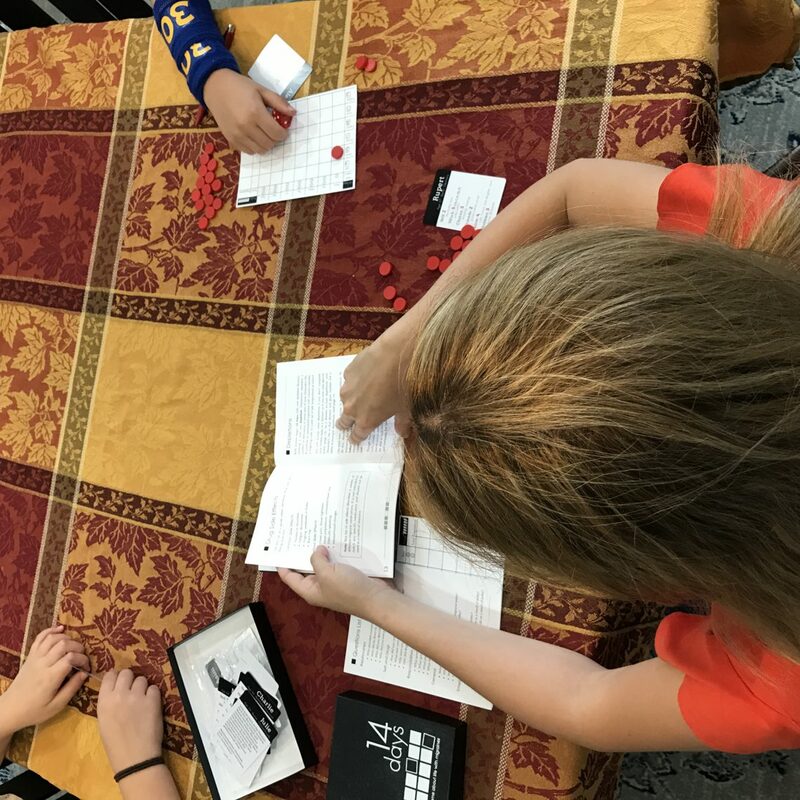 We found a board game that explores the daily struggles of people living with migraine attacks. 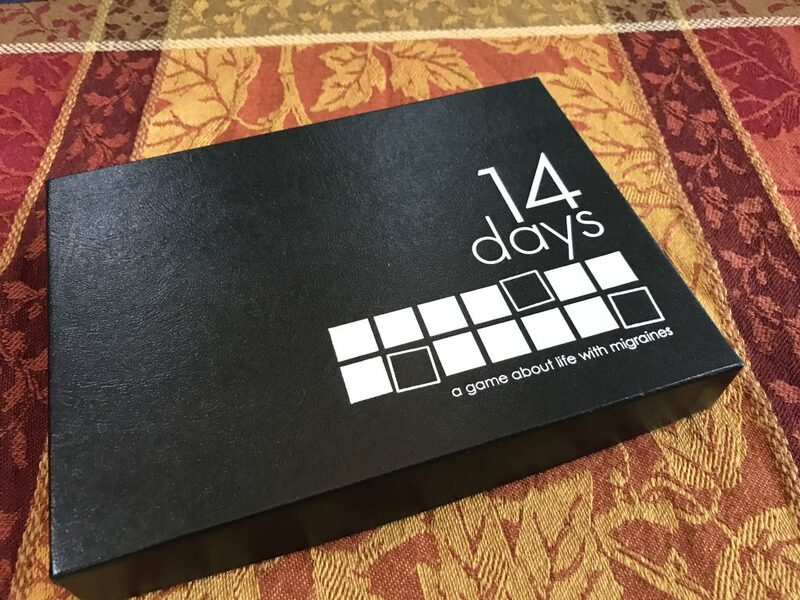 I was skeptical at first, but ‘14 Days: A game about life with migraines’ really had my children thinking about how I juggle our family responsibilities with migraine attacks. 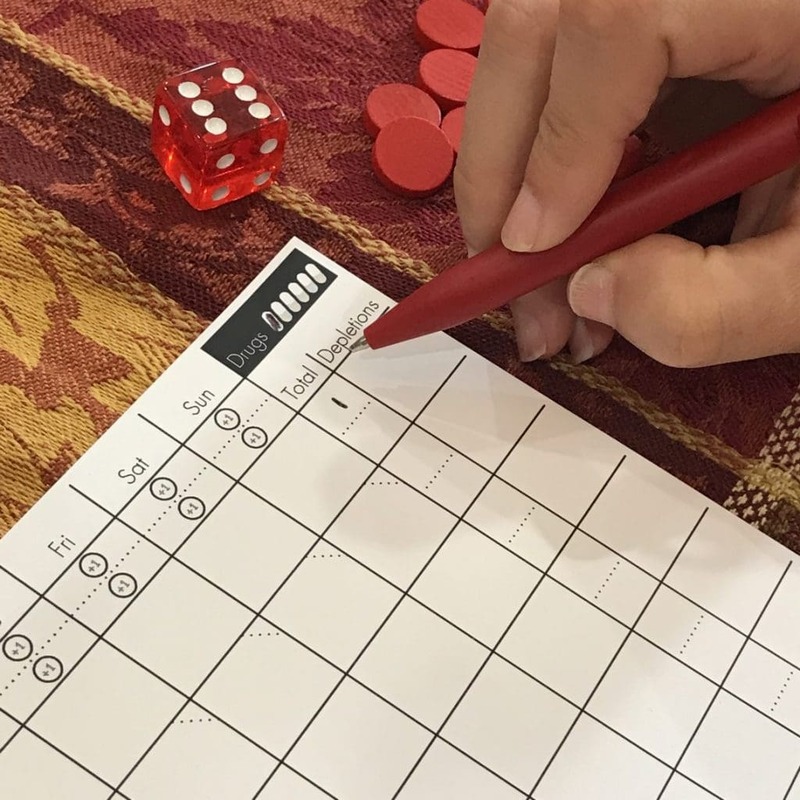 The concept is simple enough: You plan your days as you hope they will play out and then you roll the dice. The number you roll determines if you get a migraine attack that day―the higher the number, the more severe the migraine. 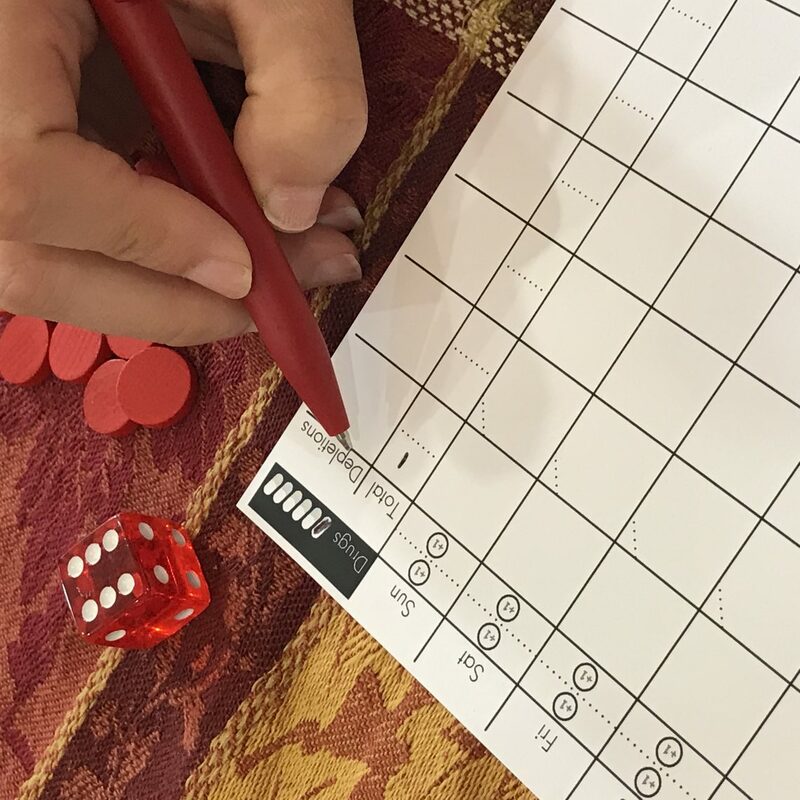 This concept hit close to home: as arbitrary as a roll of the dice, every migraine is a different monster for me. Some of my migraine attacks cause nausea, while others completely debilitate me. Though many of my migraine attacks slowly creep up on me, every now and then an attack hits me by surprise. I never know when one is going to take over my day. Another curveball the game throws at you is that each player has a limited supply of treatment to alleviate migraine attacks. This hit close to home for me, as one of my biggest struggles with migraine management is the amount of medication I am allotted each month. My insurance provides me with enough treatment for 9 migraine attacks a month―if only that were the case! Often, I pick and choose which migraine attacks to treat, and occasionally avoid the slow onset symptoms until I cannot ignore them any longer. In an ideal world, I would have enough treatment for all my migraine attacks. 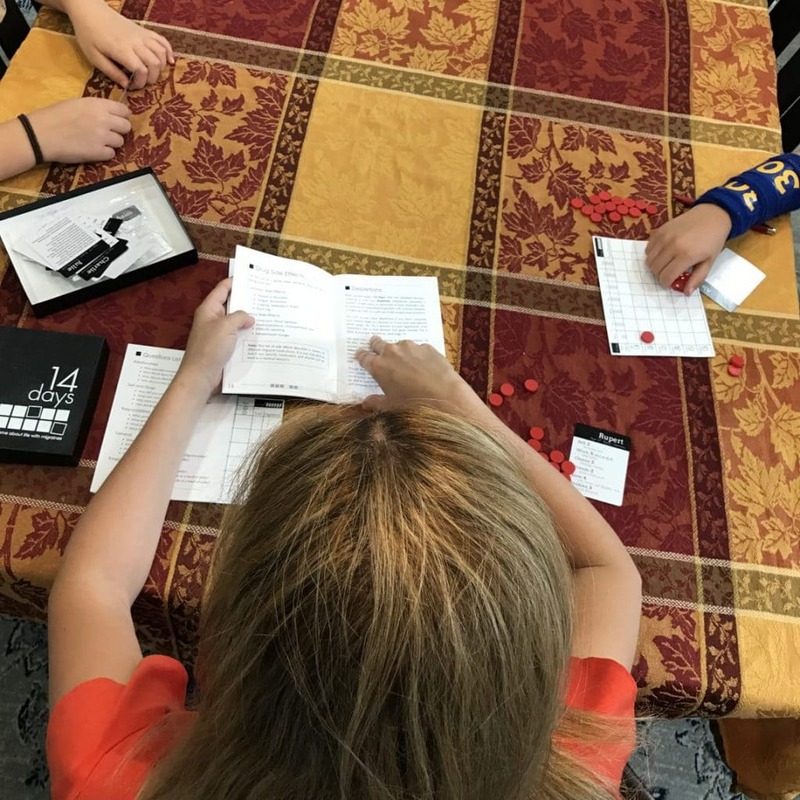 Once we got the game started, the kids got all excited about their days at first, setting up exciting Mondays filled with time for hobbies and work and family. Then, BAM, a migraine attack snatched their plans away in an instant. I am certain that my children now better understand the impact of migraine attacks on our lives. They were particularly aware of how unfair it was when schedules were rocked, days were ruined, and they had to decide how best to treat their attacks―lots of questions they literally never thought about before, because they never had to walk in my shoes. For those moments, I am grateful. 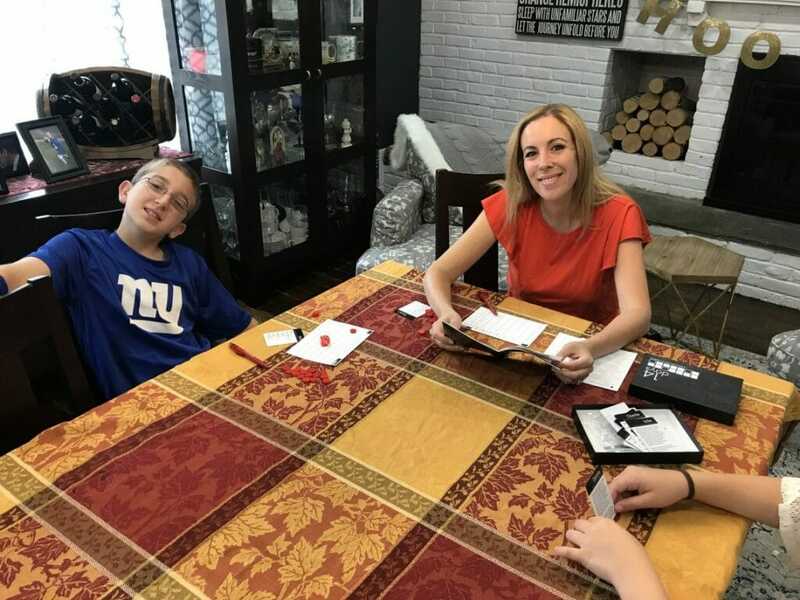 Despite their young age, Natalie and Liam realize the impact that these debilitating attacks have on our entire family, and they are more willing to figure out how we can handle them as a team. Entire families suffer from migraines―not just the person experiencing them. Yes, I’m the person who physically deals with the pain and stress, but my family also deals with the impact of constantly planning around and managing migraine attacks. While playing ‘14 Days: A game about life with migraines,’ that was made clear to everyone. I saw the sadness in my children’s eyes when they were going through their turns. It’s like they were remembering the experiences we’ve all missed because of an attack. Just like the roll of the dice, every migraine attack and its impacts are different. However, having the whole family on the same page allows us to better manage these attacks and minimize the impact they have on our lives. If you’re interested in understanding more about your migraine attacks, or rethinking your treatment options, be sure to visit www.NoTime4Migraines.com.